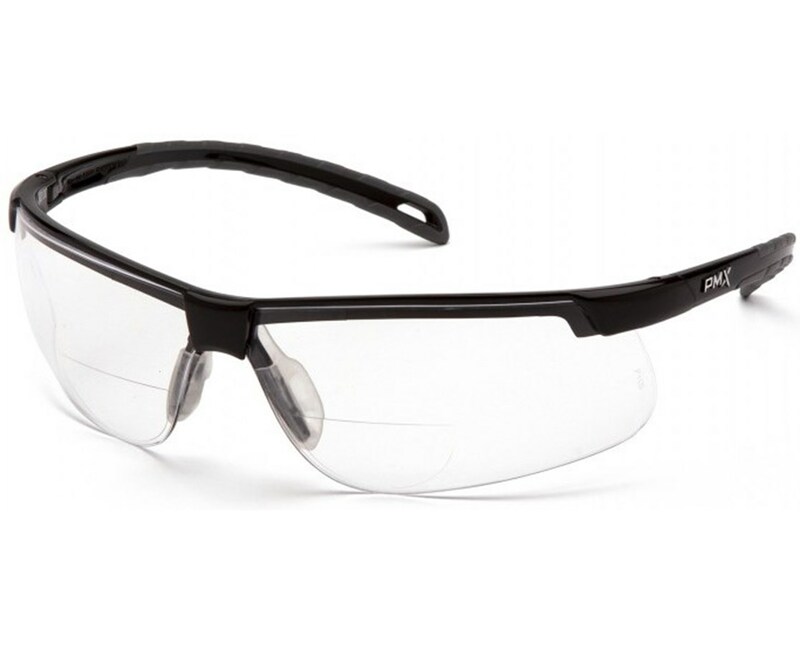 The Pyramex Ever-Lite Reader Safety Glasses come with the excellent features of the Ever-Lite Safety Glasses coupled with the convenience of prescription glasses. 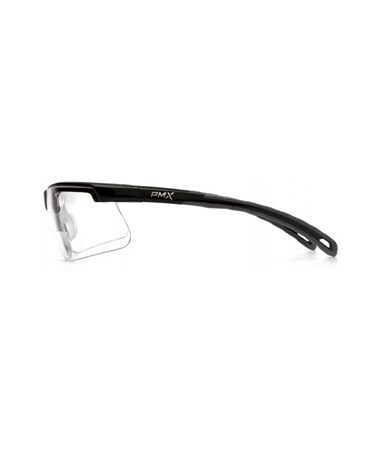 The lenses are 100% polycarbonate and are available in +1.5, +2.0, +2.5 and 3.0 magnification. 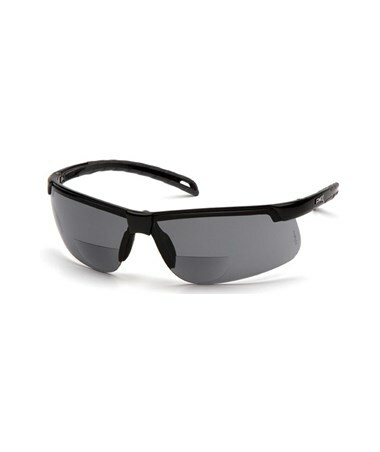 With semi-frame and slim co-material temple design, these safety glasses are lightweight weighing only 22 grams. 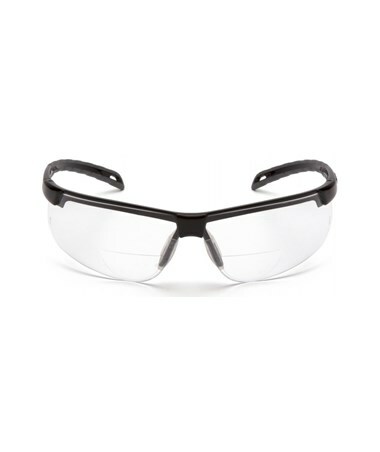 With an 8-base wraparound lens, the Pyramex Ever-Lite Reader Safety Glasses provide full front side protection. The scratch-resistant, polycarbonate lens provides 99.9% of UV protection. Its half frame design blends the breathability of a frameless design with the stability of a full frame. With soft nosepiece, it fits snugly to the face and prevents it from slipping. 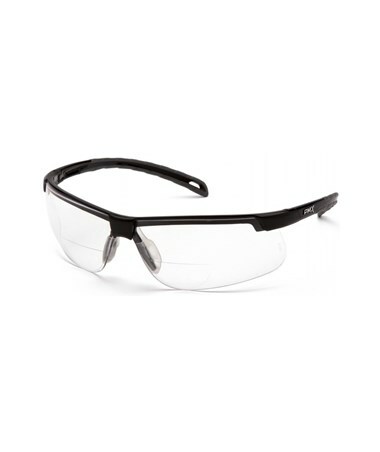 The Pyramex Ever-Lite Reader Safety Glasses are available in gray or clear lenses with black frame. Used for indoor and outdoor applications for impact protection and to reduce excessive glare. 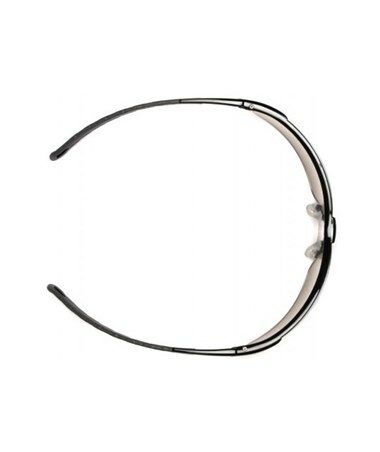 This eyewear meets ANSI Z87.1+ High Impact standards and CSA Z94.3-07 certified by The CSA Group in Canada. It also comes with a limited lifetime warranty on frames and lenses from breakage under normal usage. 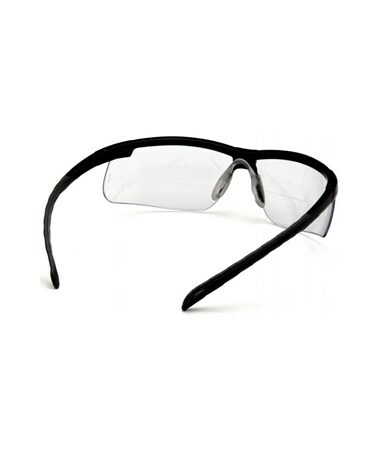 The Pyramex Ever-Lite Reader Safety Glasses are available in different lens color and lens magnification. Please choose from the drop-down menu above. Limited lifetime warranty on frames and lenses from breakage under normal usage.